I’ll be blunt: When I graduated from high school, there was always a small part of me that hated to tell people I was going to college in Missouri. “Mizzou” garnered little recognition from my peers, and many times I had to continue to explain where the school was (Columbia), why I was going (to study journalism), and why I didn’t choose the same school as my twin sister (we are different people…but that’s really a whole separate issue). Call it pride, call it foolishness; whatever. As stupid or immature as it sounds, I was almost embarrassed to be leaving my (sub) urban, liberal bubble for a school in a red state that not many people around me had even heard of, save for a couple good basketball seasons. Before you write me off as some spoiled, upper-middle class snob, give me a chance to explain. I fell in love with Mizzou almost as soon as I set foot on campus. I looked around at the beautiful quad and the charm of red campus, and I couldn’t see myself anywhere else. 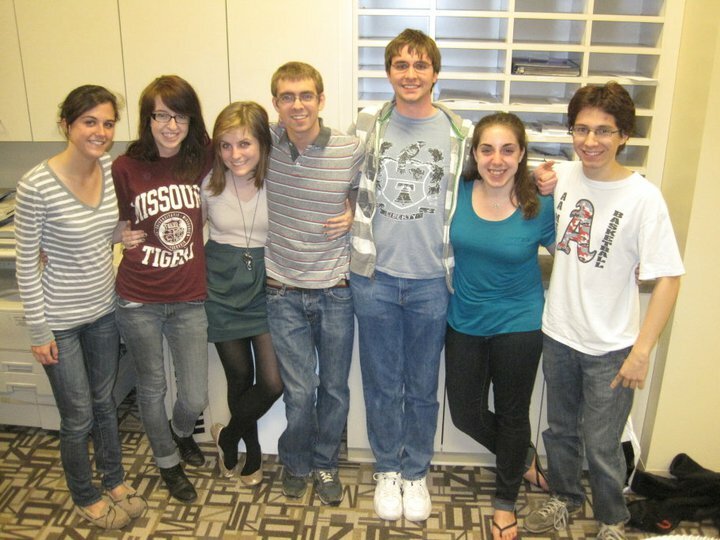 I had the good fortune to have an amazing floor full of people I would soon become close with, and I have yet to have a journalistic experience, whether for the Columbia Missourian or The Maneater, that was not ultimately positive. 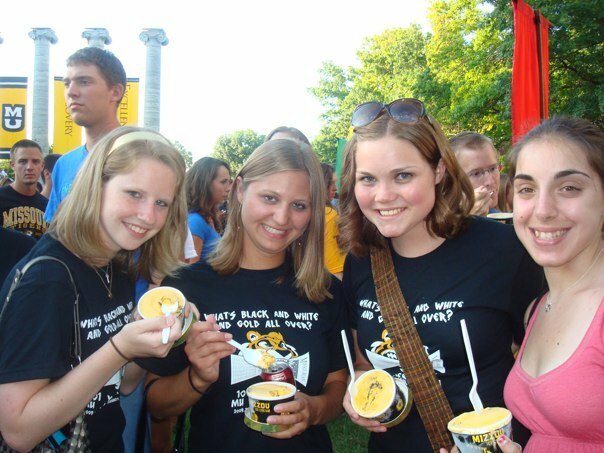 Me and my fellow fifth-floor Twainers at Tiger Walk a few days after moving in for our freshmen year. This year in particular, I truly cannot wait to go back. The more time I spend in the J-School, the more I realize I made the absolute, 100 percent right decision for me. My problem was that I was initially too hung up on the appeal and almost siren-like call of the name-brand college. I was your typical honors/AP kid in high school (I’m sure you are shocked by this information). I got to school early for NHS and stayed late for newspaper, speech, clubs or any combination of the three. I did all my homework, read almost every book assigned, and submitted myself to the torture that was AP testing every May. Free time was a foreign concept to me, and though I retained some semblance of a social life, much of my friends’ and my conversations revolved around school. Her book explains all the gritty details that overachieving and Ivy League-mania cause, and she really urges students to pick universities that are right for them, rather than retool themselves for a prestigious school that might not be a good fit. Originally when I read it during my junior year of high school, it just affirmed my desire to go to a school with a name that would garner instant praise and admiration. Looking back, if I had kept that attitude, I would not be nearly as happy as I am now. Luckily, an older friend of mine was looking at Mizzou for journalism, and his excitement and eagerness to go there flipped a switch in my head that started my own research into the school. Thanks to him, I found a school that was perfect for me, too. What does prestigious really mean, anyway? An Ivy League school might crank out top-notch students, but what else do those students gain? Are they happy? Do they have a passion for what they want to do with their lives? My production family at The Maneater. Never a dull moment, even at 3 a.m.
Mizzou might not be as old and academic as Harvard or as renown as the University of Chicago, but as I learned on my first college visit, I am one of many fortunate students who get to attend the world’s first (and best) journalism school. I have yet to meet anyone or do anything that disproves that last statement. The Missouri School of Journalism has instilled in me a true passion for journalism, reporting, news value and innovation in the industry. It’s all I talk about; just ask my sister. I would hope that any student making college decisions realizes that the name or reputation does not necessarily make the school; and a high SAT/ACT requirement or selective admissions process does not guarantee happiness or fulfillment. More important than impressing others is satisfying yourself. Four years of high school hell are not wasted if you actually enjoy where you go to college, whatever the name or rank, and that could be a different place for every person. Taking the time to do the research and finding a school that can offer you more than a rigorous course load is imperative to having a college experience that you can look fondly back on. I’m loving mine so much, I will tack on an additional year of grad school just so I can stay longer. 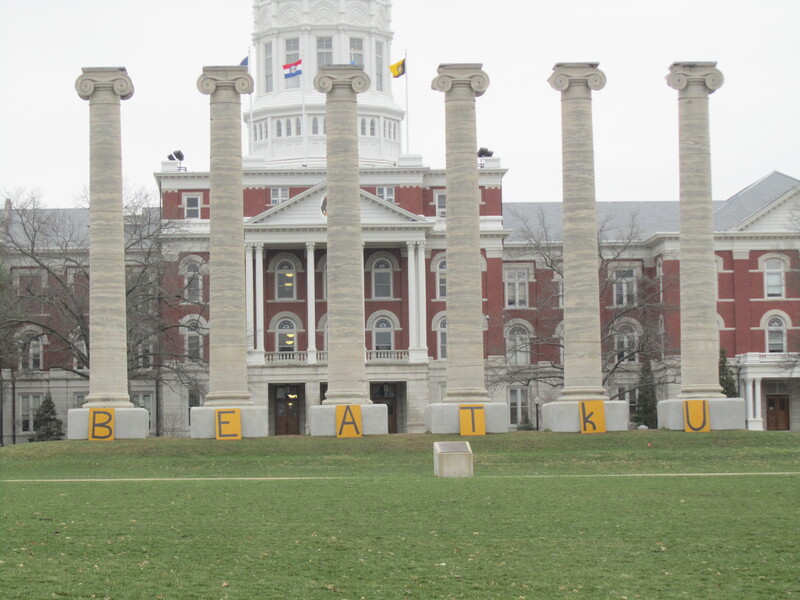 It still takes a beat before I see the flicker of recognition in someone’s eyes when I tell them I go to Mizzou. And sometimes my friends and I can’t resist cracking the occasional Missouri joke, because, really, it’s just too easy. But I could not be prouder of where I go to school or happier. It’s quite possibly the best decision I’ve ever made.